The transportation industry saw record-setting levels of freight-haul demand and driver pay in 2018 as tonnage levels reached a 20-year high, the ELD Mandate caused major debate and disruption, and price increases were felt across the map. This begs the question, what can we expect to see in 2019? Nothing quite so drastic. 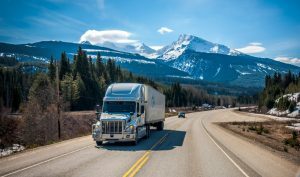 The trucking industry is expected to see slower growth in 2019 than in 2018. As a result, we believe that shippers will see an overall decrease in costs when compared to last year’s pricing. If your company experienced a 20% increase in logistics costs in 2018, you can expect a 6-11% decrease in 2019. While not returning to previous lows, some reprieve is expected. Trade deals between China and the United States have been under negotiation since President Trump entered office. In 2018, new tariffs were imposed on Chinese products, changing business operations. Industries affected include: consumer products, chemical and construction materials, medical equipment, textiles, tools, food and agricultural products, commercial electronic equipment, and vehicle/automotive parts, among others. Global trade disruptions eventually trickle down to domestic transportation, significantly impacting costs and capacity. Journal of Commerce reports that there is already evidence that tariffs have driven down port volumes. As negotiations continue in 2019, greater impacts could be seen. US regulators are even being asked to take action to reduce truck driver detention times by shippers. Zipline surveyed drivers twice in 2018 about ELD impacts and increased issues with detention (wait time) at shipper and receiver locations topped the list of frustrations. In fact, 54% of carriers have changed how long they will wait at a shipper/receiver since the ELD Mandate and 77% of carriers reported being more selective in the shippers/receivers that they are willing to go to. We encourage all shippers and receivers to be proactive with making operational/facility changes that address long wait times. Dwell time no longer just impacts the truck driver. Long wait times can increase shipping costs and greatly impact access to capacity and willing drivers. Donald Broughton of Freight Waves shared that dry van and reefer spot rates increased by 30% last year, flatbed spot rates increased 25%, while contract rates increased over 15%. Historically, 5% rate increases used to be considered excellent growth in the eyes of trucking companies. These extreme rate hikes seen in 2018 will not be sustainable this coming year. Goldman Sachs agrees that the market will soften in 2019, however, rates will remain 12% above what we saw from 2014-2017. Higher driver pay will represent much of this increase as it makes up roughly 40% of transportation costs. However, at the present time, we are noticing that the national spot market is soft. Major markets that are typically “freight heavy” have fewer available loads. For instance, DAT is currently reporting 0.3 loads per truck (L/T) posted in Chicago. Los Angeles is at 0.9 L/T, New Jersey as a whole is at 1.9 L/T, while Dallas is still hovering around 0.9 L/T. The largest increases on van lanes were out of Denver where rates increased by 21-28 cents per mile on loads to Albuquerque, Oklahoma City, and Chicago. The largest decreases on lanes were Seattle, WA to Eugene, OR falling 40 cents/mile, Columbus, OH to Buffalo, NY decreasing by 39 cents/mile, and Atlanta, GA to Philadelphia, PA decreasing 20 cents/mile. We expect to see rates fluctuate with freight volumes through January, but as we head into February, we anticipate the market will flatten out leaving rates about 2% lower than what we are currently seeing. 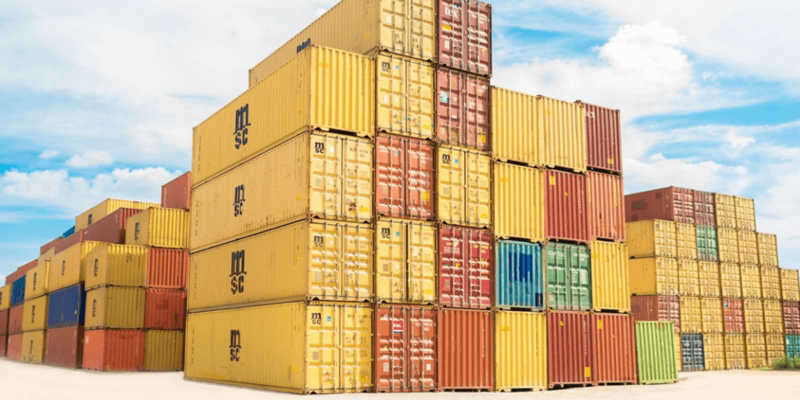 US intermodal volume is set to grow for the third straight year but at a slower rate than 2018, thanks to international and domestic pressures. A Cowen survey of rail shippers show they expect overall rail rates to rise 3.4% in the next 6-12 months. That would be about 1-1.5 percentage points beyond the Consumer Price Index. Under Labor Code section 2810.4, effective January 1, 2019, The California Labor Commissioner’s Office will now publish a list, updated monthly, of port drayage motor carriers with unsatisfied final court judgments, tax assessments, or tax liens. The new regulation hopes to discourage companies from engaging with anyone who is included on the list by holding any entity that engages with a listed company jointly accountable for the full amount of unpaid wages, unreimbursed expenses, damages, penalties and any applicable interest. The period of liability commences at the very start of tasks performed for the shipper or intermediary and continues until all such tasks are complete. Luckily for Zipline customers, none of our drayage carrier partners are included on this list. Focused on providing access to ethical transportation services, we abstain from engaging with those who partake in unfair or unprincipled business practices. Though the driver shortage saw some improvements in 2018, it continues to plague the trucking industry. The American Trucking Association (ATA) estimates that the labor pool of professional drivers was short by more than 50,000. In turn, this led to peak levels of compensation for drivers as trucking companies competed with one another to attract employees. Thankfully, according to Goldman Sachs, the driver shortage has found its bottom and is slowly beginning to rebound. Information shows that in the past year 31,000 drivers have entered the workforce, the fastest growth rate in 3 years. And FMCSA data shows that arguably, there’s no driver shortage for trucking companies with one to six trucks, which increased their driver pool by 69 percent from 2012 to 2018. Carriers with seven to 20 trucks increased their number of drivers by 37 percent. Small trucking companies are adding drivers at an extremely fast rate. They have aggressively raised pay, promise a better working environment, and offer more freedom to choose freight and set schedules. Journal of Commerce shares that anecdotally, large trucking executives say they turn away the majority of applicants because they either lack required experience, have accident records that make them uninsurable, or fail drug tests. It’s not unlikely many of those applicants find work with smaller trucking operators. With that in mind, it’s essential to properly qualify these drivers before handing over freight. 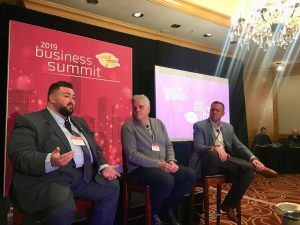 Shippers should be open to working with smaller fleets and independent drivers in order to gain access to more capacity, but careful about who they are engaging with. 3PL partners can help with the qualification process, checking insurance, ratings, and an extensive list of other factors. For those who ship into retail and grocery DCs, this qualification process is even more essential. But concerns about attracting millennial drivers still abound. The industry is approaching a very dangerous point as fewer young people are interested in a driving career. Part of the problem is that the Federal Government requires drivers to be at least 21 years old to operate a commercial vehicle. As a result, many “would be” drivers end up finding a different career path after high school. If this problem is going to be solved, the industry will have to press for a lower minimum age requirement, while creating a work culture that is more attractive to women and millennials. To do so, trucking companies will need to continue to increase driver wages, while also offering more flexibility, time, and increased benefit packages. Stay up to date on transportation industry news with Zipline’s monthly e-newsletter.